"The Gift of a Traveler" - An original and beautifully illustrated Christmas story by Wendy Matthews, illustrated by Robert Van Nutt. 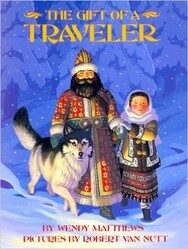 An original and beautifully illustrated story, "The Gift of a Traveler" is a fascinating Christmas tale. 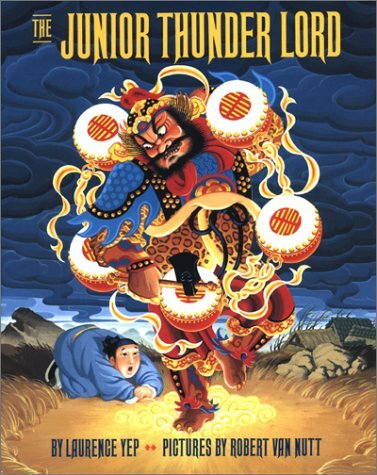 Written in a way that older children can appreciate, it is the kind of story that can be enjoyed every year by all ages. The wonderful pictures are enough to capture the attention of any child (or adult!). 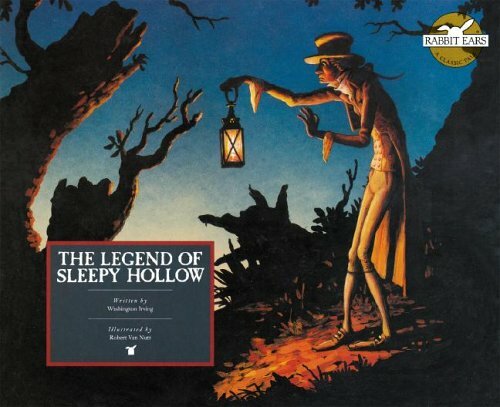 Not a traditional Christmas story - there's no Santa Claus or angels - still it has the hint of magic. There is something mystical here, something that seems to accompany the spirit of giving when hearts are open, something that goes beyond material, physical things. 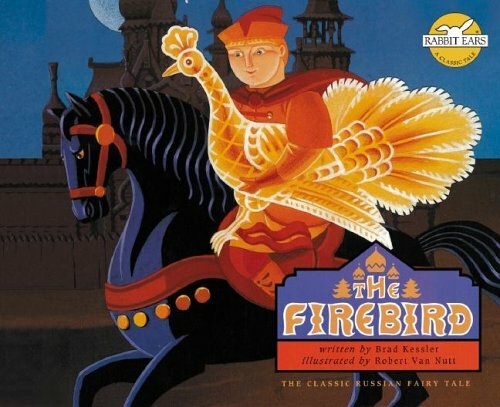 The tale of the traveler and the young girl is introduced by the interaction between Christine, a young American girl, and her great-grandmother, who she's rather afraid of. On Christmas Eve Christine's mother tells her to spend the day helping the old lady decorate her Christmas tree. When all the ornaments are on the tree Christine hopes she can leave, but she's told to fetch one more from a special wooden cupboard with locked drawers. Inside is an unusual ornament, and her great-grandmother tells her it might have magic in it. She then tells the tale of how she came by this special and precious item. Great-grandma was from a faraway country and a distant time. 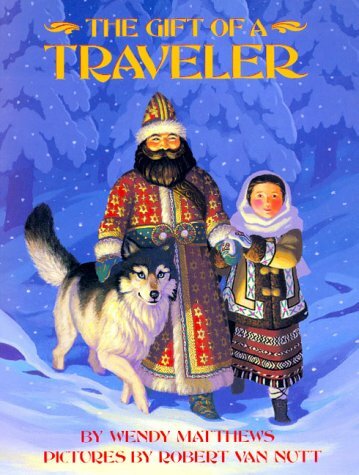 "The Gift of a Traveler"
Great-grandmother Anica is from Romania, and her tale is about one Christmas Eve when she was a little girl. Without giving away the whole story of this book, let me just introduce some of the special moments in this engaging tale. "I turned my head and peered into the darkening woods and saw a shape, a movement, a flash of gray fur. A wolf!" "My father took the wolf's paw." 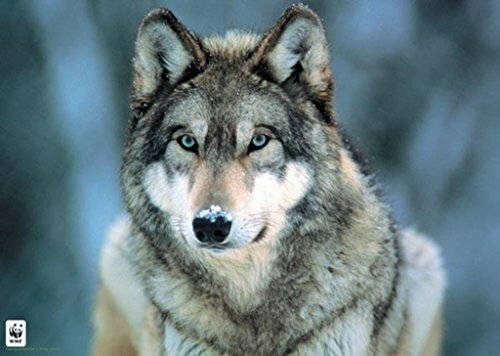 It turns out that the wolf is not dangerous, but the companion of the "traveler," a gypsy. This wolf greets friends by offering her paw. Now the pictures in the book are not too scary, although it mentions that even sitting down the wolf was almost taller than the little girl. But still, a real wolf (like in this picture) is pretty big, and has big paws! Anica's family is obviously poor, living in a small cottage in a remote place where they never had visitors. They have a family tradition of making Christmas ornaments and having each child introduce what they have made and then hanging it on the tree. But this year, Anica has no ornament to hang on the tree. She feels ashamed and sad that she has nothing to give. "Do not be sad. You have given much. 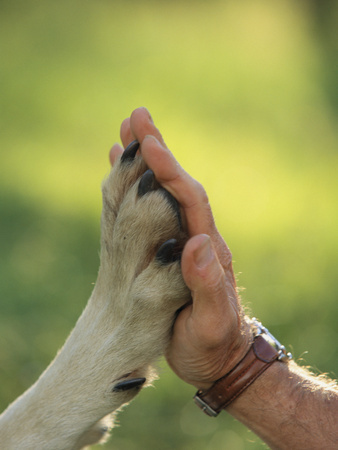 You have given me friendship and trust and companionship." The traveler comforts Anica, reminding her that she has given much that day - inviting him and his wolf to share their meal and shelter on a cold night. Although fulfilling what is expected of her by her family is important, Anica has reached out to a stranger. She has gone beyond her family to share what they have with another. Anica treasures the gift the traveler gave her for the rest of her life. She tells how her husband did not want her to bring it when they had to escape Romania and come to America because they could not bring much. But Anica brought the ornament because it was special. Special because the traveler gave it to her, and special because it was from her home in that remote place in the forest in a faraway place and a distant time. 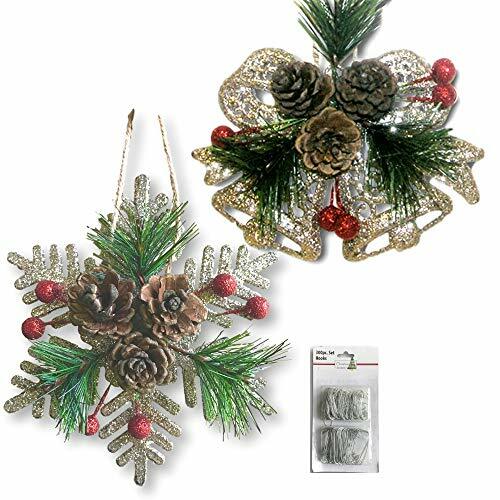 This set contains 8 ornaments - snowflakes and bells with pine cones in the center. Kind of like Anica's special ornament! You can't have the special gift made by the traveler, but you can buy these to hang on your tree! You know they always say no two snowflakes are alike. 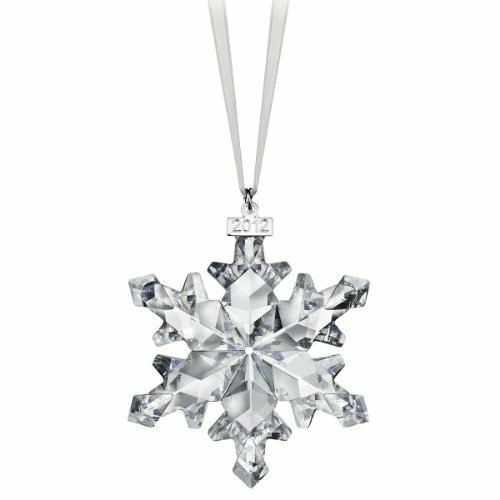 Well, here we have the uniqueness of snowflakes reflected in so many styles of snowflake ornaments ready to decorate your tree. Remember this Christmas story with a special Old World Christmas glass wolf ornament. 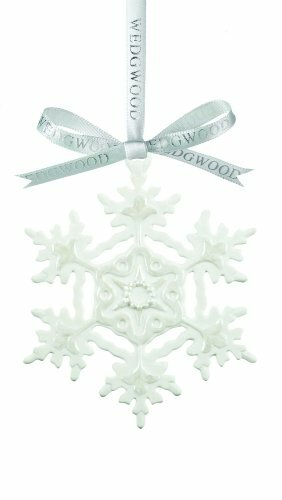 This delightful glass ornament is mouth-blown into a finely crafted mold and hand painted with many bright lacquers and glitters. I love the illustrations in this book! They are by Robert Van Nutt, who has illustrated other children's books. He has a gift for capturing both life like qualities and the fairy tale atmosphere in his pictures. Here are some more books featuring his delightful art work. Have you read this Christmas Story? Thanks, it's a delightful book! What an intriguing book review you have written... this sounds like my kind of story! Thanks. Yes, they look cool! 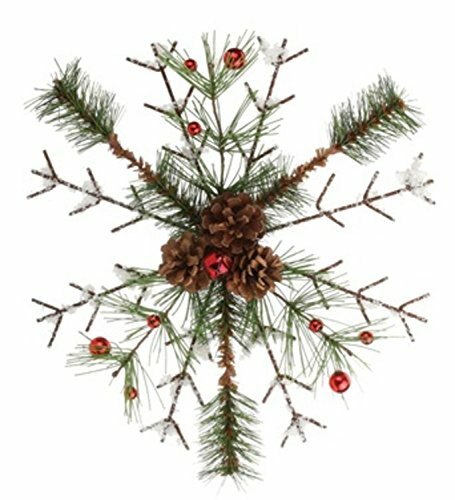 I have never heard of straw ornaments before. Very nice. Want the best glass ornaments for your Christmas Tree? Christopher Radko is the way to go. Christmas ornaments made of chocolate are colorful, festive, tasty - the perfect way to decorate your tree!